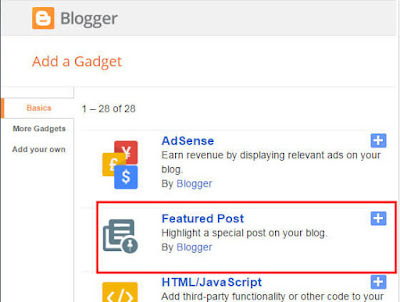 Every blogger knows it is important to post regularly or intermittently in order to boost readers' interest towards your site. It is the matter of fact that the more you post the more your post lose the attention of your user, because older post does not shows on the first page of your blog it went into archives and buried there. And therefore it problematic for your reader to find out everything you’ve posted, so no need to worry in this lesson we will show you how to Highlight the posts that matter. 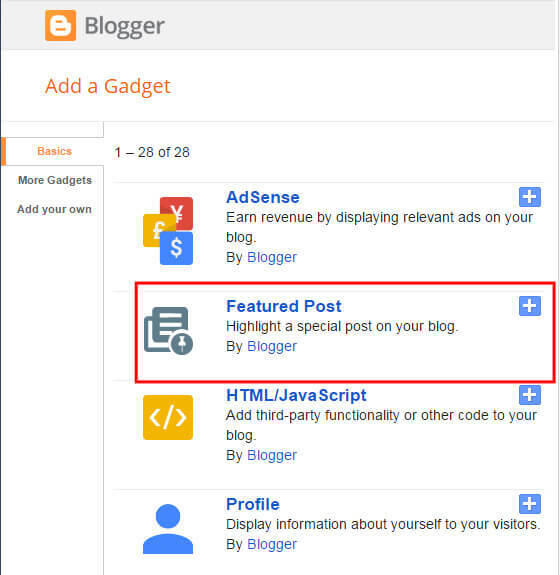 Featured post gadget makes it very easier to showcase your older or any blog post in your sidebar or anywhere you want so your reader can see.we will going to add Featured post gadget is our sidebar section. 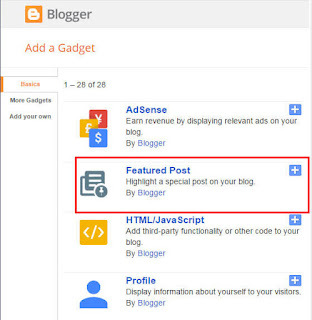 First of all login to your blogger account then go to >> layout >> Add a Gadget >> and then a pop window will appear select Featured Post. 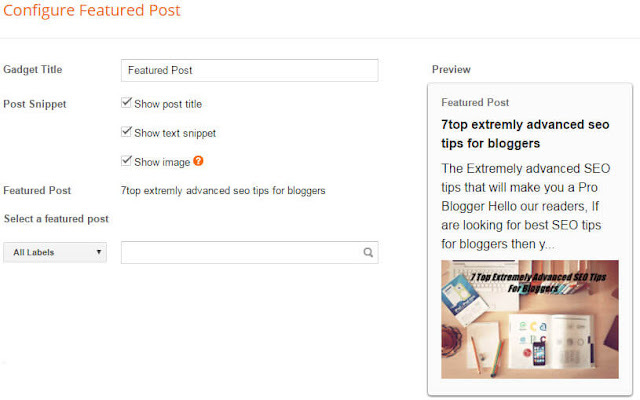 Featured post provides you a couple of options to select a specific post you want to highlight.You can choose to post from search by title or browse them from different labels, and inside it you can also see a small preview of the post. Once you select the post then you can hit save button . Your Done! If found this article help full then please share it and you can also like our facebook page and follow us on twitter. 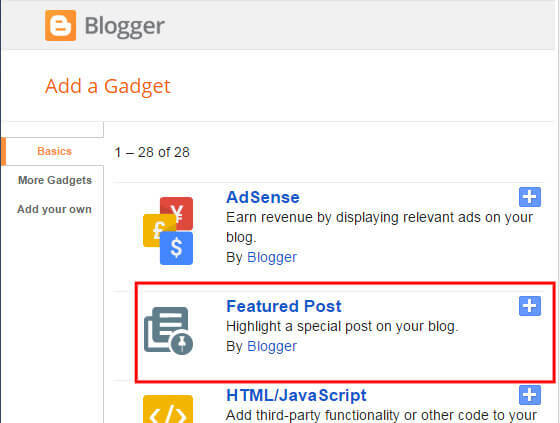 Are you looking to add author box then read our this article How to add author box in blogger blog and you can also read How to change author box dynamically. Python is an object oriented high level programming language which is built in data structures combined with dynamic typing and dynamic binding making it very attractive for rapid application development.